On the 1st of October Janine Elliot, Reach for Recovery volunteer in Pietermartizburg was “Yarn bombed”! 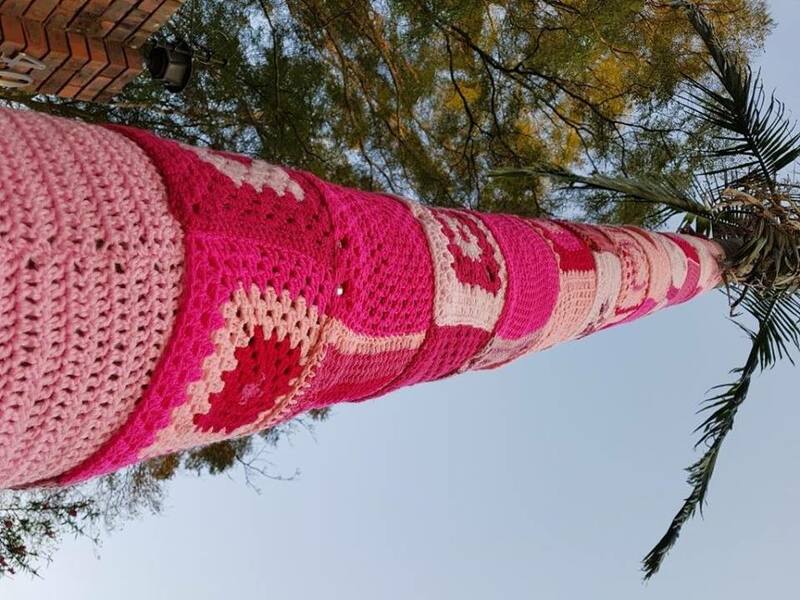 Each year, Janine buys pink fabric,and winds it around the large Palm tree in front of her home,for the Month of October. 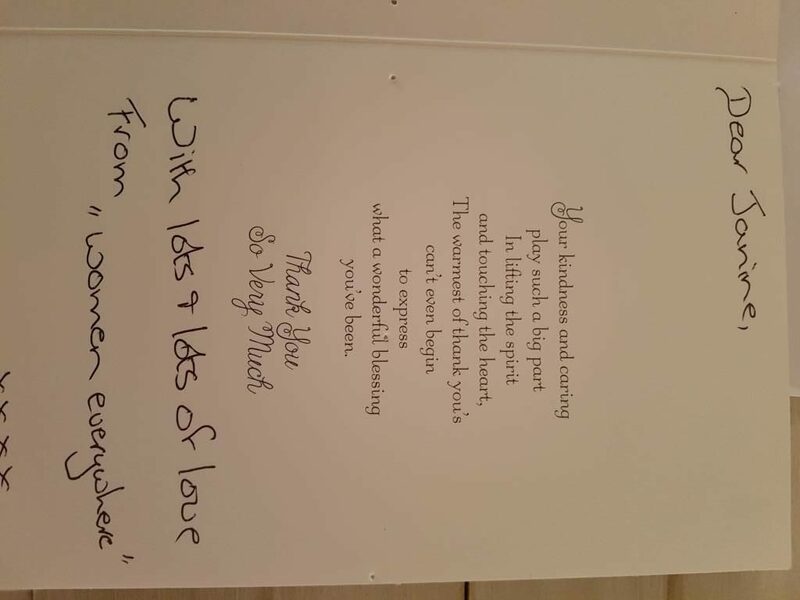 This year, on Monday, 1st October she came out of her driveway to see this huge display of love and appreciation on the palm tree and a beautiful card! An enormous amount of work went into this crocheted marvel!